1. Be driving a company vehicle with signage identifying company name. 2. Be covered by General Liability and Commercial Auto Insurance. 3. Attempt to identify self at front door or gate. 4. Proceed to location of system and equipment. 7. Make adjustments as necessary to equipment. 8. Check performance of mechanical equipment for the entire system – floats, pumps, aerators, alarms, etc. 9. Check and clean effluent filters if appearance justifies. 10. Check and clean or replace air filters, clean aspirator shaft if appearance justifies. 11. Make a visual assessment of disposal fields, looking for clear signs of surfacing effluent. 12. Check spray heads for proper spray and rotation, cleaning and unclogging if necessary. 13. Make necessary repairs, if and only if, customer has previously approved. 14. Report findings to customer if anyone is home. 15. Document findings on Testing and Reporting Record, sign and date. 17. Return all paperwork to office. 1. Always call customer before inspection to announce we will be coming. We try to call 2 days in advance but sometimes with the weather it may be the day before. And we will make appointment time if customer desires. No one has to be home for inspection to take place. 2. Enter all information from the Testing and Reporting Records into customer tracking database. 3. Will make note of estimated costs on report of any repairs needed. 5. Mail Testing and Reporting Records and any invoices to Owner within a week of inspection. 6. If contacted by owner about repairs – explain necessary repairs and estimated costs. 7. If authorized for the repairs, schedule work order as soon as available. 8. When work order and invoice are completed, enter information into customer tracking database. 9. Send owner copy of completed work order and invoice. 10. Send the Agency a copy of the completed repairs. 11. If repairs not authorized, sign copies of Testing and Reporting Records and distribute copies. 12. Track customer’s payments and apply payment to invoices. 13. For annual paying customers, send invoice for yearly maintenance contract at Anniversary of contract. 14. 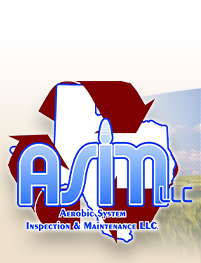 For pay per inspection customers, send invoice following each inspection. 15. Provide general and troubleshooting information to owners as requested.